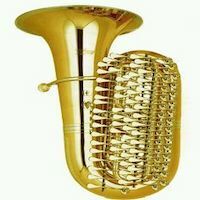 Does this horn accept modern Euro shank mouthpieces or the larger Kaiser shank type? It most certainly does, Eric. Thank you! So it takes the Euro shank and not the larger Kaiser shank, correct? The Euro shank is a great fit. I can't say anything about the Kaiser shank, as I've never tried one with this horn. Bump. Feel free to make an offer!